Local politics and the absence of capital are contributing to post-harvest losses for rice and other high-value crops. 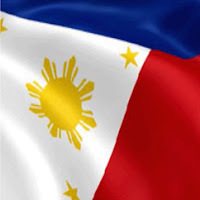 According to a study conducted by the Philippine Institutes for Development Studies (PIDS), lack of capital to procure paddy or newly-harvested rice for processing as well as political squabbling contributed to value and volume losses at the post-harvest level. Poor post-harvest activities result in 40 to 45 percent losses for most produce. 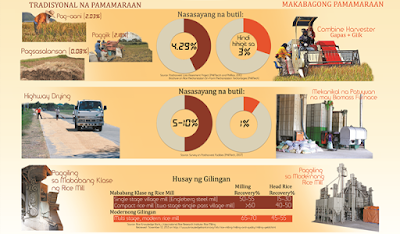 The PIDS estimates a 15 percent loss in the case of rice and 13 to 29 percent loss for major fruits and vegetables. The government think tank also looked into the pilot project undertaken by the Korean International Cooperation Agency (KOICA). The Korean agency extended a P649 million financial grant for the project. The study, which covered the period October 2014 to March this year, involved four rice processing centers (RPC) located in Pangasinan, Iloilo, Bohol and Davao del Sur. “The facilities were found to be underused mainly because of lack of capital to produce paddy,” the PIDS said. The project required the DA to contribute P20 million while the farmers’ organizations chipped in P2 million. According to the PIDS, each RPC had a capacity of 1,000 hectares of production area or about P80 million to operate at full capacity. The study likewise noted that the recipients or farmers’ organizations were unprepared. Two of the four RPCs were not only underutilized, they were also unprofitable due to management issues, lack of proper oversight, and local politics. Under normal processes, drying of paddy is delayed between one and three days, resulting in losses. With the RPCs, paddies are immediately dried through their batch-circulating dryers, each with a capacity of six tons per day. “A one-day delay in drying results in a value loss equivalent to P30.4 million, and value loss of P44.67 million if drying is delayed by three days,” the PIDS said. With the RPCs, the total gain in farmers’ income due to higher buying prices reached P13.9 million. A benefit-cost analysis using the capital recovery approach revealed that the presence of the RPCs resulted in a capital recovery ratio of 1.37 indica-ting that the annualized value of aggregate benefits was able to cover one year of the annuity value of the project cost plus 37 percent of the annuity for the succeeding year. “This implies that the investment on the RPCs is viable and sustainable,” the PIDS said. “More benefits can be realized if capital for paddy procurement can be increased,” the PIDS added.